Switchel is an old-fashioned “energy drink”, which has been served to generations of hard-working field hands to give them a boost of energy and to help them rehydrate in the hot summer sun. 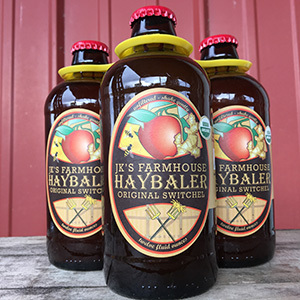 Historically, switchel, sometimes called Haymakers Punch, originated in the West Indies and was brought to America in the 1600s. As well as being a thirst-quencher, Switchel was also important because water wasn’t always safe to drink. By the 1800s it was a standard in town and country, popular with farmers and students, when working in the hot summer sun or when mixed with rum – or as a remedy the morning after a night of heavy drinking. 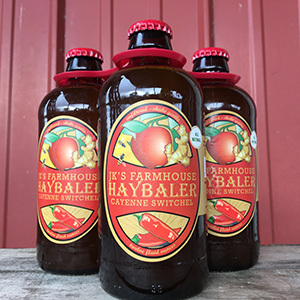 Today many people drink apple cider vinegar for a variety of reported benefits, but with Haybaler you get the added benefits of the other ingredients, as well as a great taste! Start slow, one or two shots, then listen to your body. If you feel a cold coming on, you may want to take a bit more. How soon will I start feeling the effects? Everyone is different, some people feel a difference in a few days, other take a while longer. Again, listen to your body – you may need to drink a bit more or a bit less. Some people take several shots a day, others take a shot once or twice a week. For digestive issues, taking a shot 30 minutes before a meal may be beneficial. For weight loss, working up to drinking a bottle before a main meal may help curb your appetite and control your sweet-tooth. 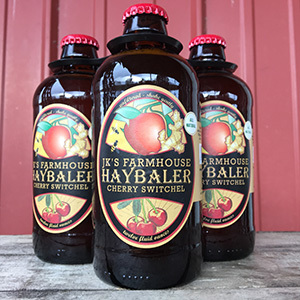 What else can I do with Haybaler? 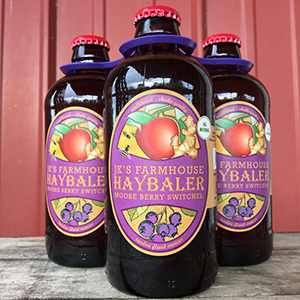 Haybaler isn’t just a sipping vinegar – use it a marinade or salad dressing, add it to a smoothie. And we weren’t kidding about mixing cocktails (rum or pineapple vodka perhaps) or just sipping it the morning after the night before! Note: You should always speak with a healthcare professional before taking any dietary, nutritional, herbal or homeopathic supplement.